It’s Summer time and I think the weatherman is out to make sure we remember. Our Grange activities have slowed down and living is easier. Look around. There are Grange picnics, mystery rides, and the start of the fair season. 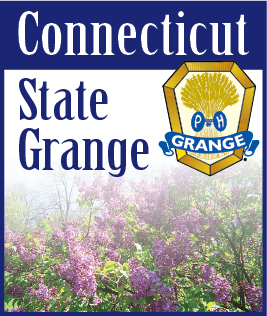 Our Grange Brothers and Sisters are our extended family. Let’s support each other. We should all be right in there helping to plan these activities as well as attending and supporting each other with theirs. Fun events don’t just happen. They take a lot of time and hard work, but are most definitely worth it in the end.